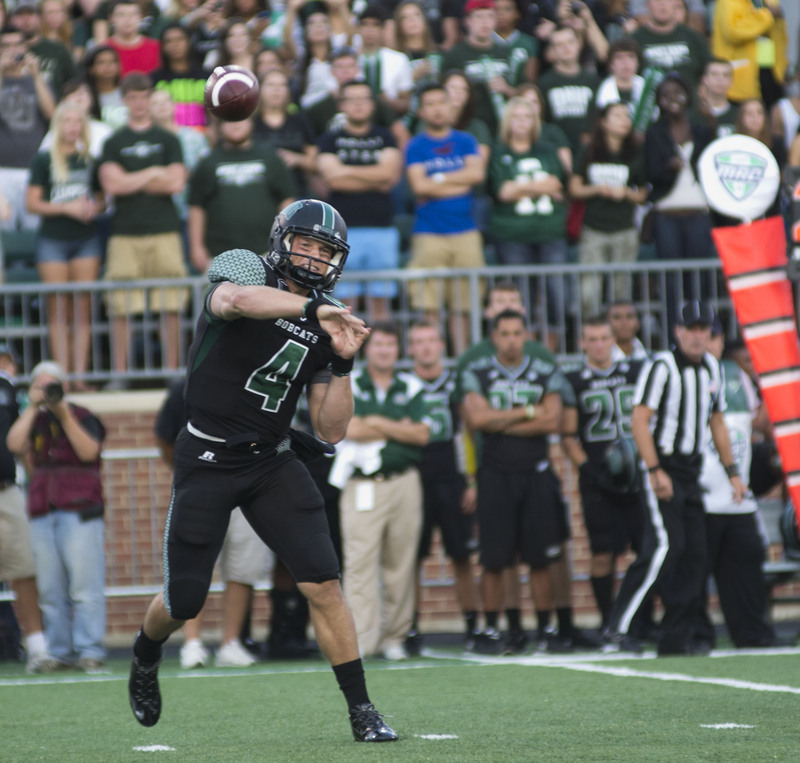 Each week, we ask five of our sportswriters five questions about Ohio athletics. Their answers may surprise you. This week, we talked to sports editor Alex Hider, managing editor Danny Medlock, assistant sports editor Katie Hendershot, soccer writer Corbin Bagford and volleyball writer Shelby Dermer. Ohio’s athletic teams are entering into conference play. Who do you think are the Bobcats’ biggest in-conference rivals, across all sports? Alex Hider: Common logic tells me it’s Miami, but the students in Oxford care more about their frat’s intramural flag football team then the RedHawks. However, Akron’s basketball team has experienced a renaissance under Keith Dambrot. If Terry Bowden can rebuild the football program, they pose the biggest threat to the Bobcats. Danny Medlock: Can Marshall just come back to the MAC already? I feel like there isn’t a natural rival. In my tenure at Speakeasy, Akron-Ohio in men’s basketball has really been the only thing that gets me juiced up. The problem is that Akron-Kent St. is an actual rivalry. I don’t buy the Miami thing, every time we make fun of their general frattyness, I feel hypocritical. Katie Hendershot: Obviously Miami will always be a huge rivalry. It’s the one that all Ohio fans and students will rally against. Corbin Bagford: I’d be reprimanded if I didn’t mention that wretched excuse for a university three hours east of Athens. Other than them, I think pretty much every school in the MAC East can be considered our rivals. Shelby Dermer: I think the Bobcats biggest rivals will be Ball State. They look pretty stout in Football with a 3-1 record. Also in Volleyball they have posted a 12-3 record. The football team has a bye week. How would you spend your week off? Hider: I’d travel the world, fall in love, get married, have a few kids, become too involved in my career, grow distant and ultimately abandon my estranged family. Sounds like a solid week. Medlock: I’d go to the Crystal and crush vodka redbulls! Just kidding, I don’t know what I’d do. Maybe order an Aircraft Carrier from Wings Over – I want to do that really bad. 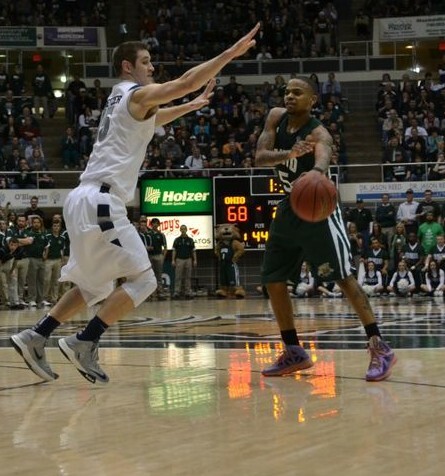 Hendershot: I would spend my off week taking a good in-depth look the MAC teams coming up. MAC okay is so crucial to the season, so taking a week to slow things down and get good practice in I’ve all facets of Ohio’s game. Bagford: GTA 5 and FIFA 14, ’nuff said. Dermer: I would definitely give the team a few days off but also take the opportunity to have a couple more days to prepare for Akron. Volleyball doesn’t play a single ranked team the rest of the season. What are the chances they run the table in the MAC? Hider: No matter who the opponent is, conference play is a completely different animal. Though the MAC doesn’t offer too many quality opponents this season, I would bet almost anything that the ‘Cats would drop a match or two. Medlock: One loss Buffalo plays the Bobcats tonight. That’s a team that’s capable of the upset, but the Bulls (not a nice name for a group of women) were destroyed in their one game against a solid opponent (Ohio State). I’ll give the ‘Cats an 80 percent chance. Hendershot: The impressive play the volleyball team has had against ranked teams this season has helped prepare them for their MAC opponents. I think the volleyball team has a very good chance of sweeping the MAC this year. Bagford: The odds are certainly in the Bobcats’ favor. I’m eager to see how they fare against a Buffalo team with a good, yet unproven record. I believe their toughest test will come when they face Ball State. Dermer: Chances are slim. They’ll have a tough time with Buffalo; they have posted a 12-1 record with their only loss coming to Ohio State. In college football, teams seem to change uniforms every week. What is Ohio’s best helmet, jersey, pants combination? Hider: Count me as one of the few who are a fan of Ohio’s classic looks. I think the matte-green helmet they introduced last season is one of the best in the MAC, and it really comes together when worn with the white jersey and green pants. Medlock: All black everything (HOV Voice) (EDITOR’S NOTE: *My laugh*). Hendershot: I liked when they introduced the all black jerseys because it gives the team an edgy look. The blackout games are always enjoyable. Bagford: I loved the white jersey, green helmet and pants combo that the ‘Cats donned in the opening week on the at Louisville… but those didn’t produce the best results (to say the least), so what do I know? Dermer: I Like the away jerseys with the white jerseys and green pants. Even though we didn’t play well in our only away game this season…. What are you most excited for: the NFL regular season, baseball postseason, or the start of the NHL? Hider: There’s something about baseball being played in long sleeves, and with the Cincinnati having clinched a spot in the post-season for a second straight season, I’m all in for the Reds. Let’s just hope it turns out better than last season…I feel sick. Medlock: None. I’m excited for the Breaking Bad finale… I can’t wait for Todd, Lydia and Brock to start the most f*cked up family the world has ever seen. Hendershot: I’m extremely excited for the MLB post season because for the first time In a very long time my favorite team, the Indians, have a chance of making it to the playoffs. The post season is always interesting because once a team is there, anything can happen. Bagford: It’s going to be interesting to see if my Browns put more effort into tanking their season for the Teddy Bridgewater sweepstakes, but I’m really looking forward to seeing if my beloved Cincinnati Reds’ offseason aquisition of Choo and the insane arrival of Billy Hamilton will be what the Redlegs need to move further in the MLB postseason. Dermer: I’m a huge Bengals and Reds fan but I love my Bengals more than the Redlegs. Though I’m excited to see the Reds possible pull out a one-game wildcard win and hopefully advance farther. I’m loving the 2-1 start to the season the Bengals have gotten off too.